Whether it’s from coffee or maté, it takes a lot of caffeine to plan and execute a music festival. The WinterWonderGrass team is fueled by the best. Before Bivouac Coffee’s founders were partnered with WinderWonderGrass, they were simply fans. They won tickets to Stratton and gave festival founder Scotty Stoughton a bag of their coffee while they were up there. He loved the product and brought them on board for Steamboat. We knew Bivouac Coffee was different than other roasters, but we wanted to know more, so we spoke with founder Rene to get the details. According to Rene, the key is that Bivouac only sources, processes, and roasts naturally processed coffee. This means that the coffee cherries are sun dried rather than washed. Sun-drying coffee not only saves 8 liters of water per 12 ounces of coffee, but also completely avoids all the super toxic wastewater that is normally dumped back into the environment. Most coffee processors do not have the infrastructure for properly disposing of this toxic wastewater. The result? A delicious, non-acidic coffee that won’t hurt your stomach. Bivouac has noticed that most of their customers are very active outdoors. Ultra-runners, mountain bikers, and other athletes have found that they can drink this coffee before being active without experiencing the usual negative side effects, so they keep coming back for more. Bivouac gives back 2% of their revenue: 1% for the planet, and 1% for their non-profit partners the American Alpine Club and Big City Mountaineers. Their products are contained in 100% compostable packaging. 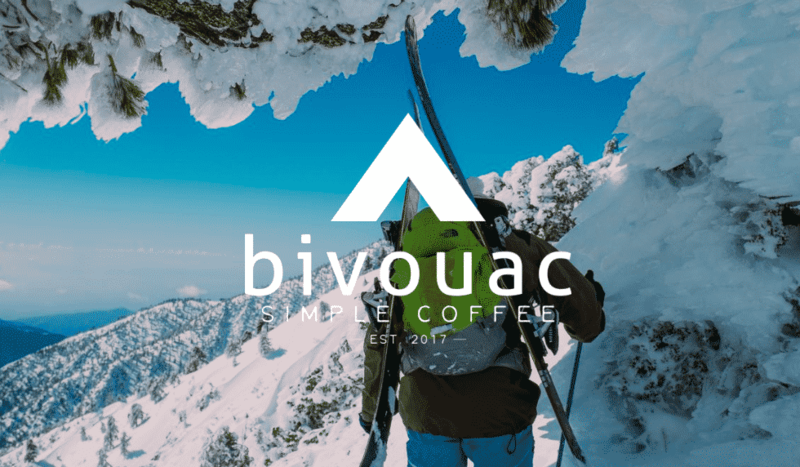 We had the pleasure of drinking Bivouac coffee all weekend long in Steamboat, and it’s safe to say that we’re hooked. It feels good in the stomach and the heart to drink this product, and that’s what WinterWonderGrass hopes from their coffee partner.